Without Calibration data. To be fitted on a laboratory retort stand and connected to a recirculating chiller. Suitable for the determination of the limiting viscosity number of the pulp or cellulose sample. Manufactured to the specification detailed in ISO 5351, previously known as the SCAN method, the PSL Rheotek pulp viscometer is suitable for determination of the limiting viscosity of pulp. Type C is used for the solution flow time. 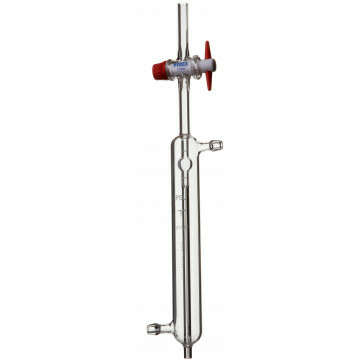 The viscometer is supplied with water jacket and stopcock. Prior to use, it must be connected to a circulator with a steady supply water at 25 degrees C.